The Northeast Indiana Regional Partnership recently worked with our national public relations firm Developers Counsellors International (DCI) to showcase Fort Wayne and Northeast Indiana's collaboration on business development efforts by highlighting the recent Shindiz headquarters relocation to downtown Fort Wayne. Shindigz, one of the largest dealers of party supplies in the U.S., has been based in South Whitley in Northern Indiana for 92 years. With a growing need to hire creative and digital talent, the company considered moving its headquarters and manufacturing operations out of state to Austin, Texas or the Research Triangle in North Carolina. 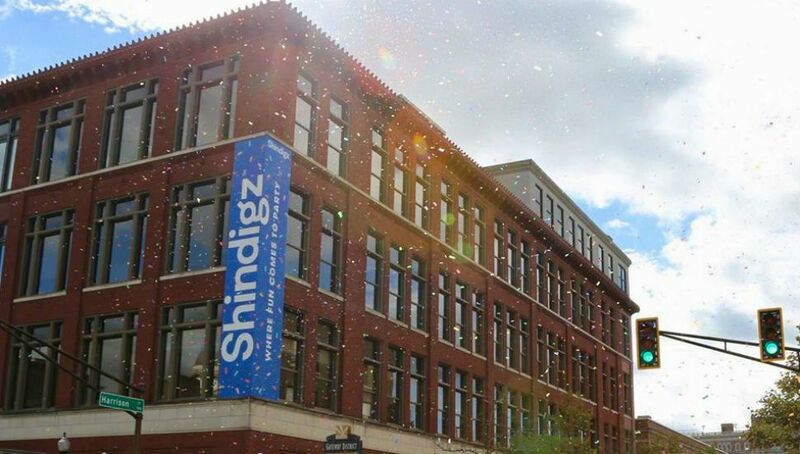 Ultimately, Shindigz was convinced that the talent they needed was right there in Indiana, and opted to move its headquarters to downtown Fort Wayne, keeping its manufacturing operations in South Whitley. To get to the bottom of the decision, DCI spoke with Shep Moyle, Chairman and Co-owner of Shindigz, and John Urbahns, Executive Vice President of Economic Development at Greater Fort Wayne Inc.
To hear the full podcast or read a transcript of the interview, visit DCI's website.